Young people care too… A “Young Carer” is someone under 18 who helps look after someone in their family, who is ill, disabled or misuses drugs or alcohol. C4C believe that young people who help family dependants with physical or mental challenges are totally overlooked. We offer young carers respite, recognition and inspiration to continue to care selflessly for their loved ones. 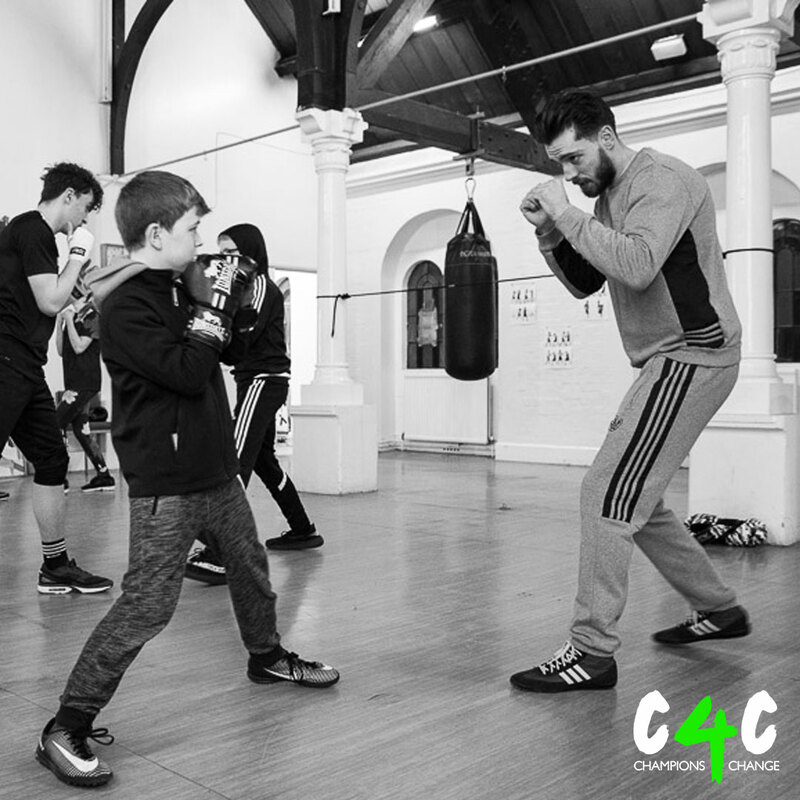 The Champions 4 Change, Young Champions’ Boot Camp ‘YCBC’ is a specialist referral programme in partnership with St Peter’s Boxing Club. We deliver 2x weekly sessions at St Peter’s Boxing Club in Charlton. YCBC is a structured non-contact boxing programme designed for young carers in the Royal Greenwich Borough. We aim to help young carers with personal development and assist them in reaching their true potential. The YCBC has had great success with its members who are all growing and developing weekly, whilst progressing through the ASDAN GB Boxing Awards programmes. YCBC is a referrals only service. We accept referrals from RBG early help team, schools and parents. If you work with or are the parent of a young carer and you feel they would benefit from becoming a member at YCBC please contact us. C4C is also able to set up satellite YCBC projects so if you feel that young carers in your work setting would benefit from this service please contact us. “Like” our Facebook page for the latest news & updates direct from the C4C team!